Founded by Robert Quirk, who brings 15 years experience as owner and operator of Hot Rocks Massage in San Jose del Cabo, this new business has expanded from massage to include our 35-step signature facial developed at White Sand Massage, using sterile steam vapor and high frequency laser. Best Massage and Day Spa in Todos Santos Mexico! White Sand Massage and Day Spa went through almost a year of remodeling and training before first opening its doors on Monday, February 18, 2013. Details to ambience, quality tools, modern equipment, and highly trained staff, is what makes White Sand Massage, Hair Salon, & Day Spa the best spa in Todos Santos, Mexico. Founded by Robert Quirk, who brings 15 years experience as owner and operator of Hot Rocks Massage in San Jose del Cabo, this new business has expanded from massage to include our 35-step signature facial developed at White Sand Massage, using sterile steam vapor and high frequency laser. Other services include manicures, pedicures, waxing, electrolysis permanent hair removal, and wart, mole, and skin tag removal. We are open 7 days a week from 10am-6pm. 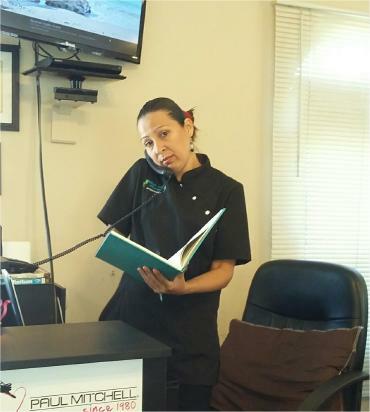 You will be greeted at the door or on the phone by our manager and receptionist, Alondra. 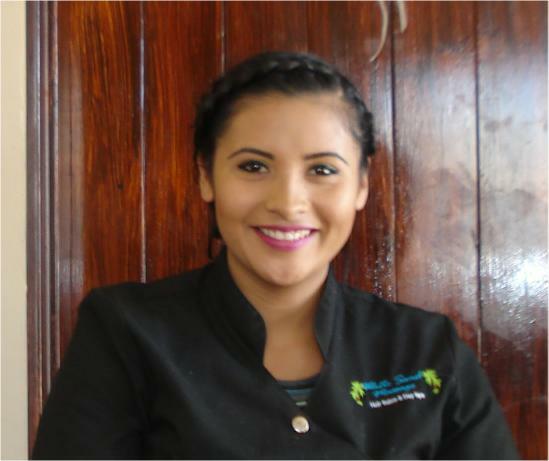 Born in Insurgentes, and educated in San Jose del Cabo, Alondra moved to the Todos Santos area in June, 2014. She also enjoys cooking and mothering her 6-year old daughter, Dafne. Thania was born in La Paz, Baja California Sur, and was raised in Todos Santos. 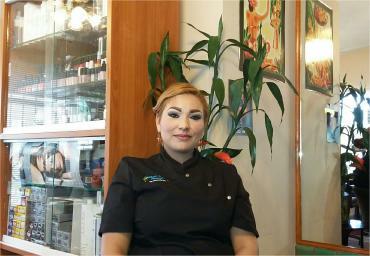 She went to Beauty School (ECPBC) in La Paz , and received her education in cutting and styling hair. She has also completed courses in massage therapy, has helped to develop our 35-step signature facial, and is trained in nails, manicures, pedicures, and waxing. Thania is also one of the only hair stylists in Baja California who is certified in Yuko Japanese Hair Straightening. Maria is an expert in all Spa services, as well one of the hair stylists in the new hair salon. Maria is a local in Todos Santos, and lives on the outskirts in San Juan. Robert is a 3rd generation massage therapist, following his Grandmother Louise who practiced for over 70 years, and his Uncle Chris who is still practicing after 55 years. He studied under the famous Dr. Sunday Meyers in the late 1990’s in San Jose del Cabo, and is a 20 year Mexican resident with dual citizenship. He has trained hundreds of therapists in deep tissue and hot rock massage over the past 20 years, and is currently specializing in electrolysis, as well as mole, wart, and skin tag removal.